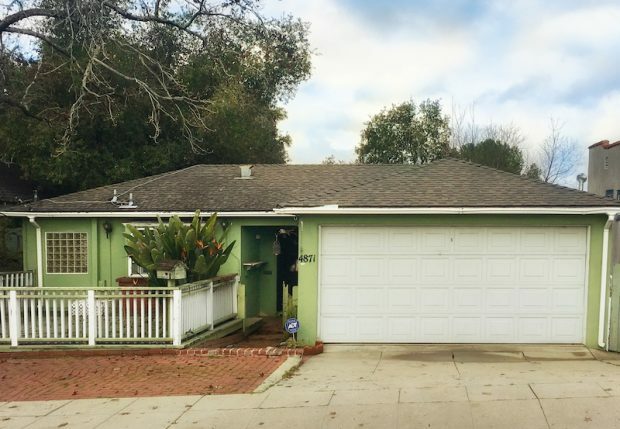 This charming 1940s Eagle Rock bungalow is located in a fantastic Northeast Los Angeles location and boasts great upside potential on a desirable cul-de-sac close to shops and restaurants on happening and hip Colorado Boulevard. On public records, the residence is a 3 bedroom / 2 bath home and 2092 square feet. It is currently configured as a 2 bed/1 bath main house, 1 bed/1 bath guest apartment, and a separate studio apartment. The tenants 0f each have been relocated and all of the units are vacant.